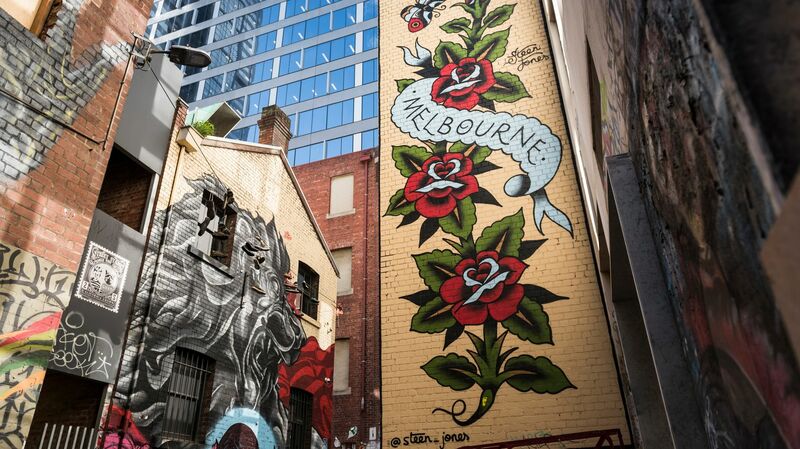 Blending cosmopolitan sophistication with what locals claim is the “very best nature has to offer,” Melbourne is one of the most diverse and captivating cities in Australia. Come experience the region and its many delights. Whether you’re looking to explore the pristine natural beauty of Dandenong Ranges National Park, treat the kids to a day at the Melbourne Aquarium, take in dinner and a show in the Theatre District or set off on a wine tasting tour through the Yarra Valley, Melbourne has something to enchant every visitor. For assistance with arranging tours and excursions, please see Reception at Hotel Grand Chancellor Melbourne. Southbank precinct is the hotbed of Melbourne art and culture home to the Victorian Arts Centre, Malthouse Theatre, Recital Centre and National Gallery of Victoria. Melbourne’s meeting place Federation Square, combines art with architecture - with the Ian Potter Gallery and ACMI offering free exhibits year round. If you’re keen to explore, Melbourne is home to over 100 art galleries and public art spaces ranging from large public institutions to small artist cooperatives. To cap off a great day, be sure to catch the big names of the stage in a blockbuster theatre productions at one Melbourne’s beautiful historic theatres. Home to some of the largest sporting events in the world, Melbourne is a sports fan’s paradise. Set on the Yarra River and Port Phillip Bay, Melbourne boasts an abundance of parks, gardens and coastal areas, enabling you to enjoy the great outdoors. Follow a heritage trail through Melbourne’s streets and laneways, enjoy the beauty of Royal Botanic Gardens or pick up a bike and join the cycling set. Head down to the Bay and do some fishing off the wharf or partake in a variety of water sports. Reminders of Melbourne’s rich history are present through the numerous historical buildings and monuments scattered throughout the city. Discover the city’s rich maritime history aboard the Tallship Pollywoodside or learn what went on behind the walls of the Old Melbourne Gaol. If you are a sports fan, you will enjoy the Flemington Heritage Centre or National Sports Museum at the MCG or enjoy a quiet afternoon taking in the architectural delights of one of Melbourne’s historic homesteads. Wherever you go, be sure to utilise the services of Melbourne’s city circle tram. An icon in itself, the tram provides a free and convenient way to get around central Melbourne.